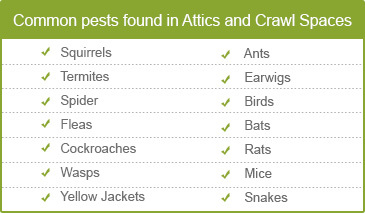 Neglected and poorly kept attic and crawl spaces are attractive areas for critters and infestations to venture and flourish. But despite being the silent and secluded areas of the property the attic and crawl space holds much value. Unwanted invasions in these regions can have a grave impact on the functionality and well being of the entire unit. Periodic assessments, overall maintenance and appropriate improvements to the attic and crawl spaces are thus important for the safe, energy efficient and healthy homes and offices. And who else can take up the job better than us? We, at Quartz Solutions, are the leaders in the field. Our experienced staff is well equipped with the latest technology – a combination that provides us the much needed edge over our competitors. Dripping ducts pave way for water to seep in making attic and crawl spaces damp and smelly. Mold, mildew and fungus grow in these conditions and spread around harmful allergies. Moreover, the damage they cause to wood and furniture is intense. Insects like wasps and roaches leave a trail of harmful germs causing severe infections. Pests and termites eat into the wooden panels and structures causing severe wood decay. Animals, like rats, raccoons and mice bite into furnishings, upholstery and fittings. Their unobstructed movement damages ducts, wires and more. Cracked air ducts may allow harmful gases to flow into living areas. Radon gas may pollute the entire space causing serious breathing troubles. It is also a known carcinogen. Clean and properly kept attic and crawl spaces are imperative for overall health and well being of the property and your loved ones. A careful inspection not only unfolds the dangers lurking these areas but also provides vital clues of all impending threats. At Quartz Solutions we offer a free preliminary inspection to help you gauge the magnitude of the problem. At Quartz Solutions we have developed and perfected the art of providing attic and crawl services that are second to none. Rest assured, our customized solutions are reasonably priced with no hidden cost. Northvale is a small borough in Bergen County, NJ. With a sparse population of less than 5,000 people, the place is home to some of the beautiful buildings, malls, residential apartments and office units. Don’t let any trouble tarnish the sereneness of the region. At Quartz Solutions, we take it unto ourselves to provide you with services that can help you keep your attic and crawl spaces in top-notch condition. 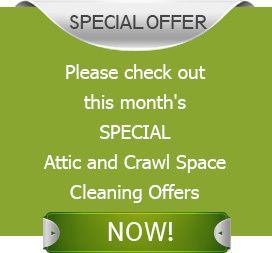 Call us 201-205-2042 and schedule your complimentary attic and crawl space inspection and consultation, now!